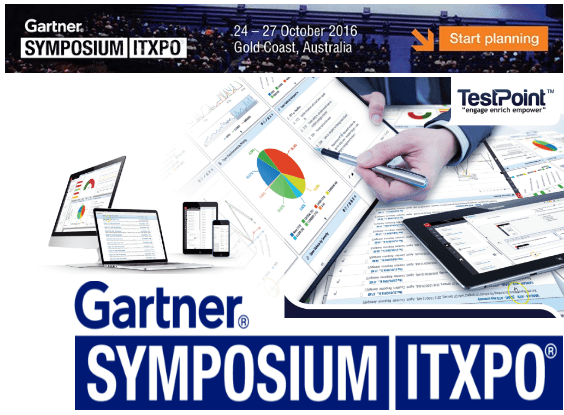 TestPoint is set to exhibit at the 2016 Gartner Symposium/ITxpo, the world’s most important gathering of CIOs and Senior IT Executives showcasing its Enterprise Cloud delivery platform solution, Vansah™. TestPoint continues to hone its services and solution platform Vansah™ to become an accelerator for total QA and Testing Solutions to its customers, delivering governance, efficiency and speed to market. 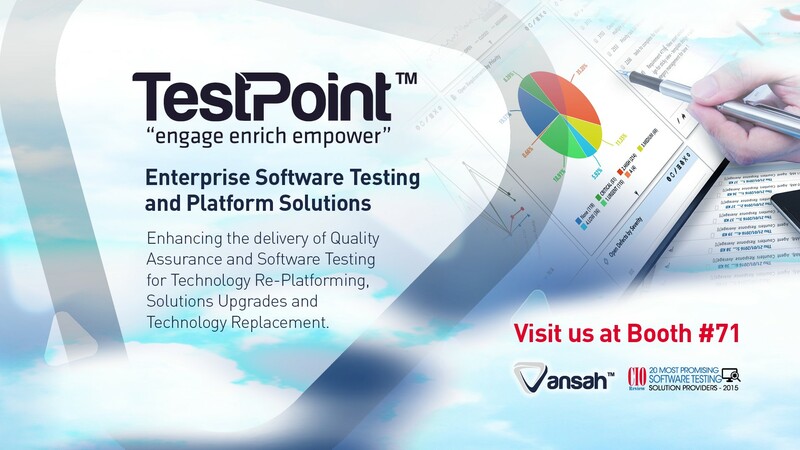 Whilst TestPoint continues to enhance its Vansah™ QA and SDLC Integration Platform, it is also extending and strengthening its capability in the monitoring space specialising in Synthetics, Automation, DR and Cyber Security. TestPoint have successfully and repeatedly delivered at the 10% Testing Index compared to industry benchmark from anywhere between 20% and 26% as an average. Our Team is looking forward to seeing you at the gathering!